Here is a must have product to replenish and maintain healthy skin. It’s suitable for all dry, oily and combination skin types. While it is ideal for maintaining a healthy complexion, you can also use it anywhere on the body. 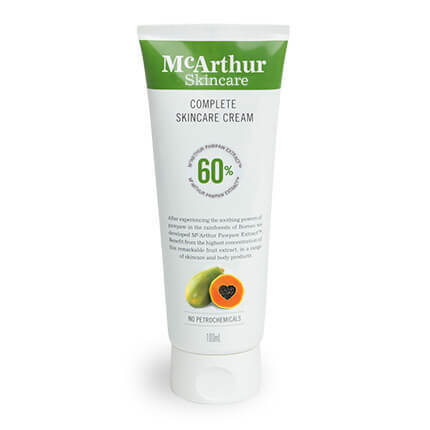 McArthur Skincare's Complete Skincare Cream 100ml - $27.95 Fact: The pawpaw fruit is packed full of vitamins, antioxidants and enzymes which give it a natural ability to promote skin renewal and rejuvenate the skin - it’s the skin’s natural friend. 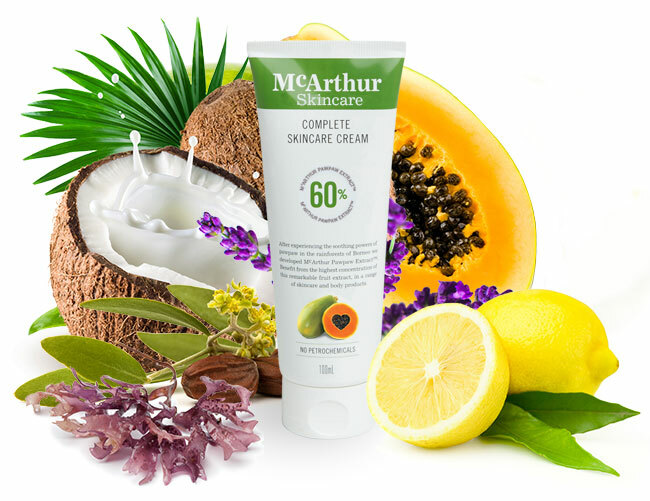 McArthur Skincare's Complete Skincare Cream has the highest amount of active pawpaw extract in a natural cream on the market - an amazing 60%. By comparison, other pawpaw brands on the market contain much less pawpaw extract. This one item, our Complete Skincare Cream, can replace a number of products on your cosmetic shelf. McArthur Skincare's Complete Skincare Cream is a versatile all-in-one moisturiser that can relieve dry skin and redness leaving your skin feeling fresh, supple and smooth. There is a no-added-fragrance version for sensitive or allergy-prone skin. This cream is concentrated enough that a little goes a long way, so use it sparingly. When you consider its high concentration, it’s clearly less expensive than other brands. This truly is liquid gold in a neat package! All products in the McArthur Skincare range use natural ingredients. Please keep them stored at a temperature below 30° Celsius.